THE Castlewellan Show is now open for entries across over 300 classes with a deadline of Wednesday 19 June . 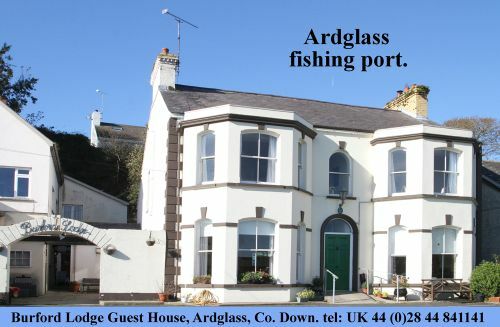 Media officer Fidelma Carolan said: “We are delighted with the new site, it has a very fresh feel and is a great shop window to profile our activities, as well as offering our sponsors additional exposure. This year’s sponsors’ evening featured The Apprentice’s Nick Hewer as guest speaker and he will be visiting the grounds on the day. BBC broadcaster Karen Patterson has come on board as the Show’s first ever patron, having been a regular visitor to the Show over the years with her father Aubrey who is a well known Holstein breeder. 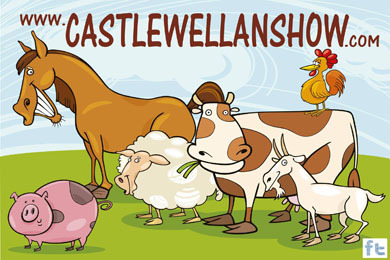 Visit the Castlewellan Show on Saturday 13 July. Fidelma added: “Castlewellan continues to attract large numbers of horses, ranging from miniature to agricultural horses with classes throughout the day for Non Thoroughbred, Half Bred, Irish draughts, hunters, ponies and donkey classes. We are delighted to have Coolmore Stud sponsoring this year’s Search for A Star Young Horse Championship with Scotland’s Elizabeth Boon judging. Lasy year pigs proved a great draw for spectators and will feature again with classes for junior boar, sow, senior gilt and junior gilt and be a qualifying show for the Pig Derby. The poultry classes have grown in popularity and this year they are 117 different sections for hard and soft feather birds. Dog agility is one of the main draws for spectators with pure bred and mixed breed dogs put through their paces over a range of fences, hurdles, see-saws through tunnels and round the weaves. The home industries section attracts the greatest number of entries and has been an excellent way of getting school children involved in the show from P1 to P7. There is a great array of classes for adults and children including jams and chutneys, home baking and photography, handcraft classes and art. The family fun competition theme is “Billy Goat Gruff” with a scarecrow competition for family entries. The always very competitive Women’s Institute category this year is ‘A Grand Day Out’. A new exciting venture on the field is our Fashion Vintage Tea tent generously supported by the world renowned Magee Clothing brand.